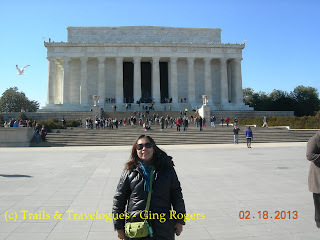 Being one of the iconic landmarks in Washington DC, the Lincoln Memorial is a US national monument built in honor of the 16th US president, Abraham Lincoln. The memorial is located on the National Mall across from Washington Monument. Me & hubby with the Lincoln statue at the back. Its beautiful architectural design was built in the form of a Greek temple, with structures of 7-ft. diameter columns stretching up to 44 ft. high. It has 36 columns representing the 36 states in the Union at the time of Lincoln's death. If you try to look up just above the colonnade, there are inscriptions on the frieze reflecting the 36 names of the states in the Union and the dates in which they joined the Union. Further above on the attic frieze are names inscribed representing the 48 states present at the time of the memorial's dedication. 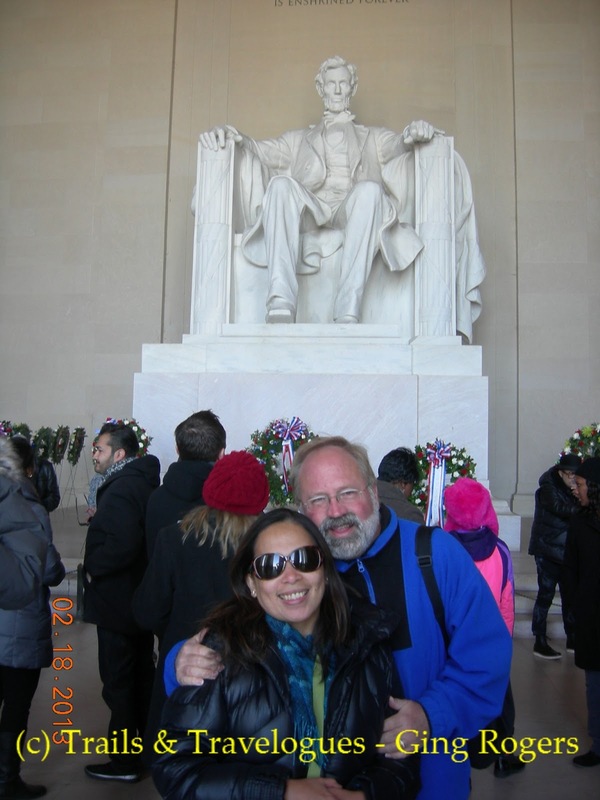 At the center of the memorial is a 19-ft. marble sculptured seated statue of Abraham Lincoln, and on its walls surrounding it are inscriptions of two famous speeches of Lincoln, - "The Gettysburg Address" and the "Second Inaugural Address." 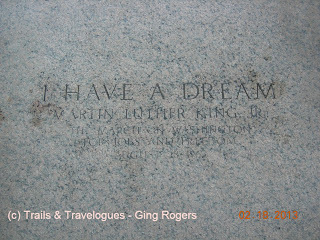 The Lincoln Memorial is also notable as the site of many famous speeches such as that of MLK's (Martin Luther King, Jr.) "I Have A Dream" speech, which was delivered on August 28, 1963 during the rally in Washington for Jobs & Freedom. 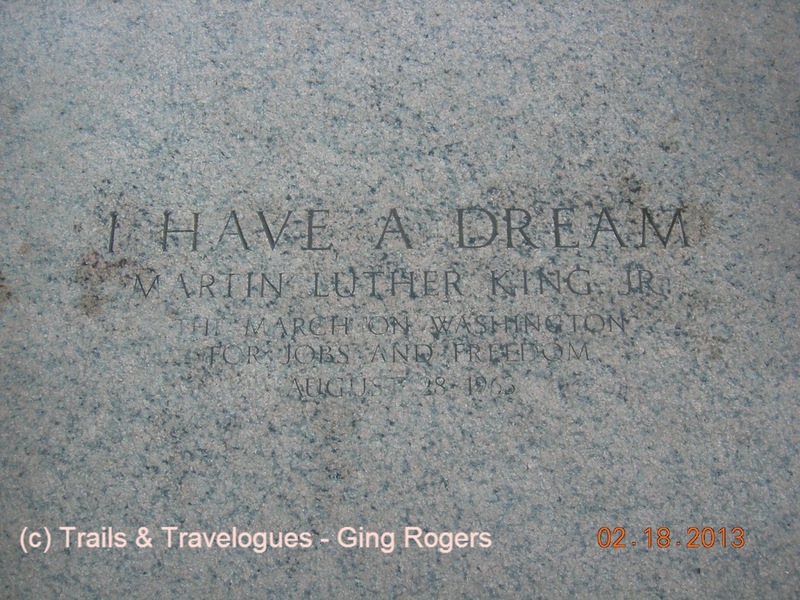 This spot was where MLK stood during his "I Have A Dream " speech, and can be found on the landing 18 steps below Lincoln's statue. Engraved in 2003 in recognition of the 40th anniversary of that event. The seated statue of Abraham Lincoln has an area of 60 ft. wide, 74 ft. long and 60 ft. high. 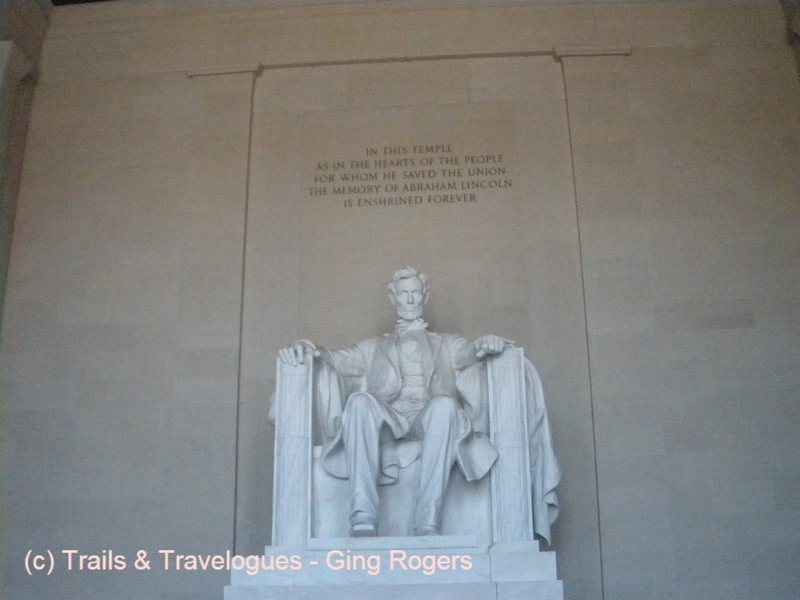 Inside the memorial, there are 3 chambers divided by 2 rows of Ionic columns, - the north and south chambers and lying between them is the central hall where the statue of Lincoln is seated. On the north chamber lies Lincoln's speech, - "Second Inaugural Address" and on the south lies the wall inscription of his speech "Gettysburg Address." 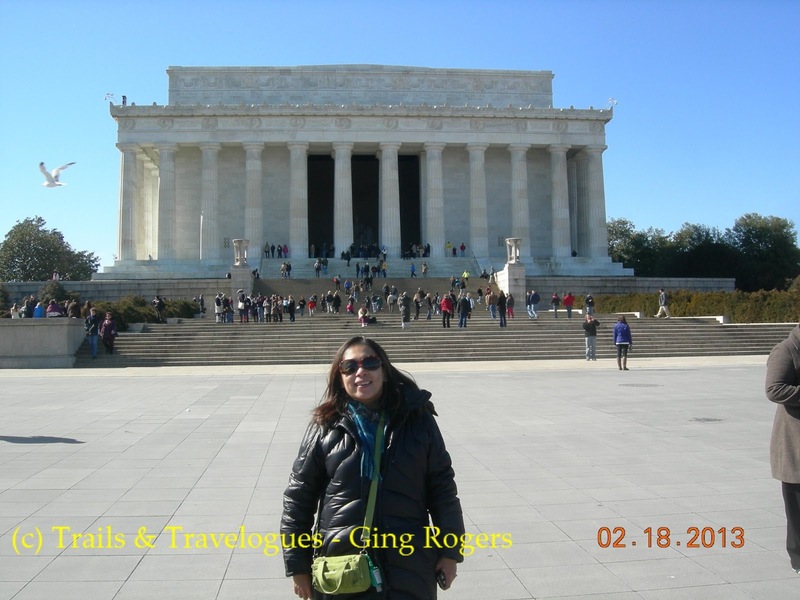 On August 2012, the reflecting pool, located at the base of the Lincoln Memorial steps was recently renovated. It also provides dramatic images that reflect the Washington Monument, the Lincoln Memorial and the National Mall.